Petite Petals Punch by Stampin’ Up! 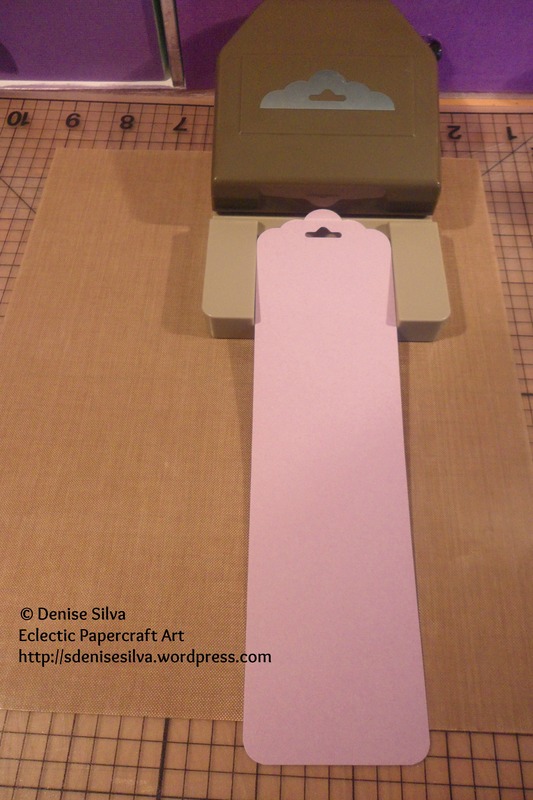 After punching the piece of lilac cardstock measuring 19cm x 5cm with the Scalloped Tag Topper Punch. I rounded the bottom corners. 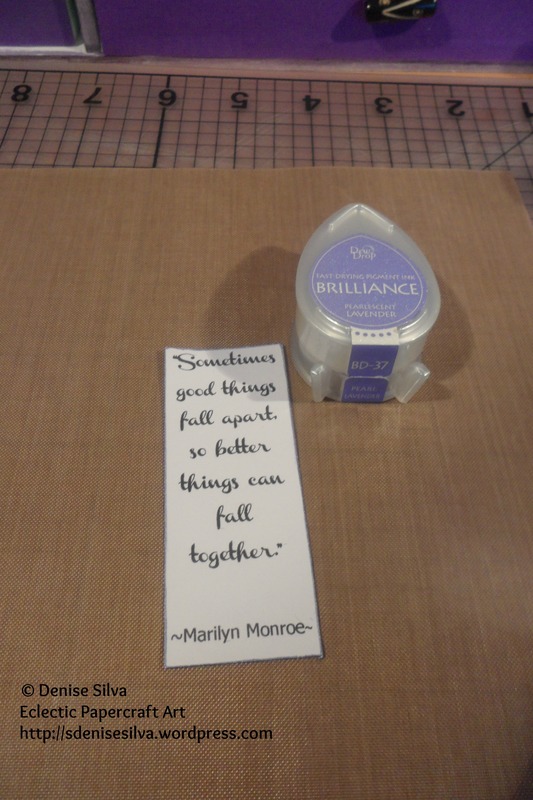 This time I jumped straight into my printed quote, trimming it down to 7,5cm, and inking the edges with Pearlescent Lavender ink. 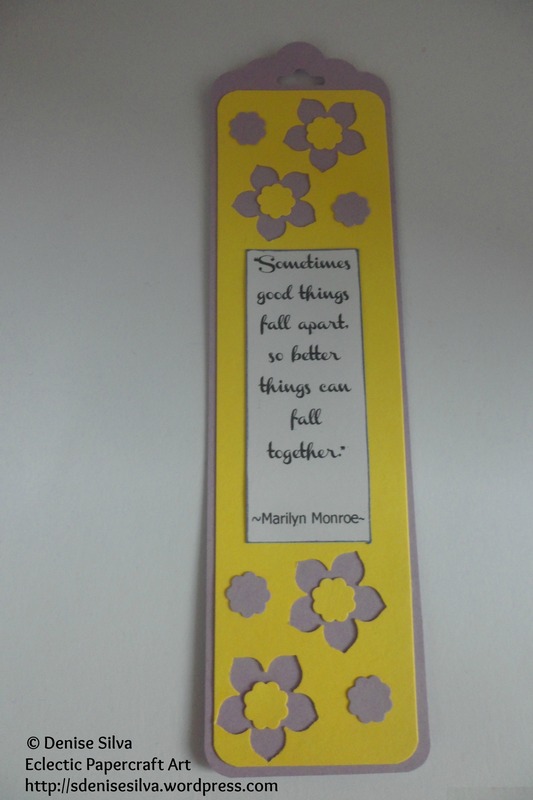 After the edges were dry, I glued the quote with snail to the second layer, so I could know where to punch. I rounded the four corners, and punched two flowers above the quote and two below, with the Petite Petals Punch. 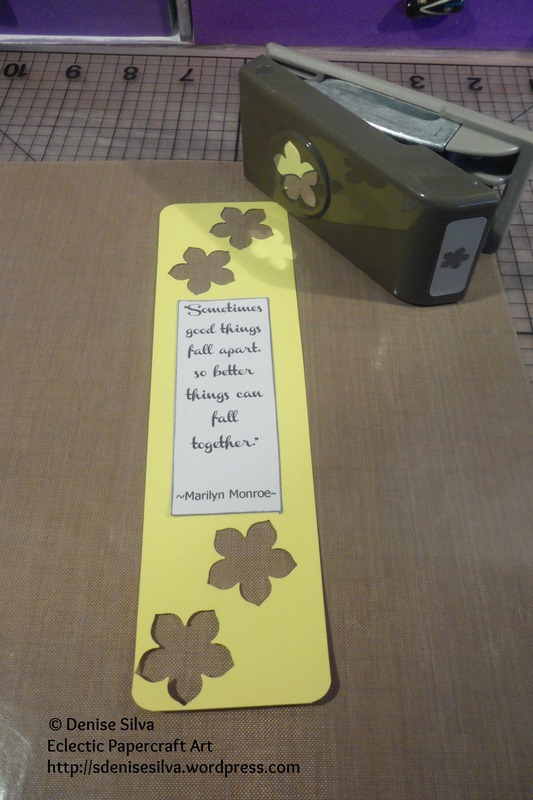 Using some scraps, I punched out eight small flowers, four of each colour, with the small flower punch from the Itty Bitty Shapes pack. 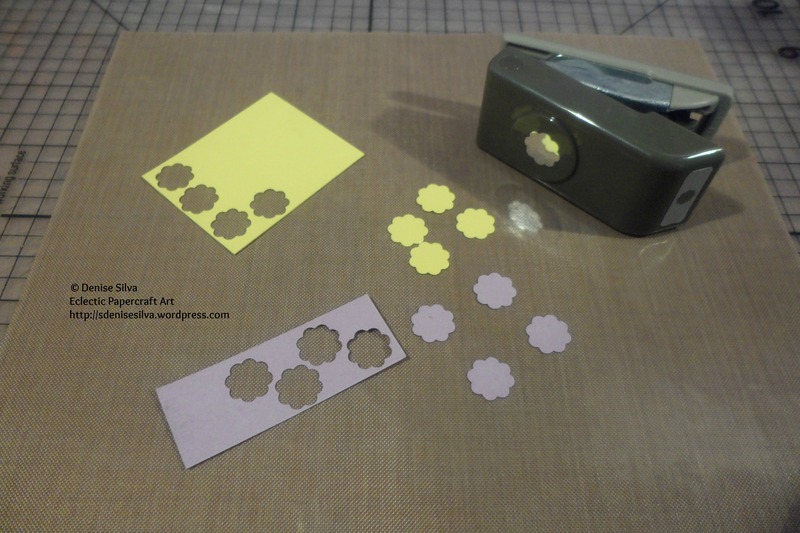 Using the yellow for the centre of the punched flowers on the second layer, and the lilac ones next to them.